From the kitchen taps that ensure we can brew a pot of coffee in the morning, to the lights that allow us to work well into the night, these seemingly small conveniences allow us to move through our days without having to be preoccupied by our most basic needs. But for many others around the world, life is not so easy. Energy poverty in many parts of the world forces people, often women, to dedicate a significant part of their days to gathering resources, just to be able to put food on the table. 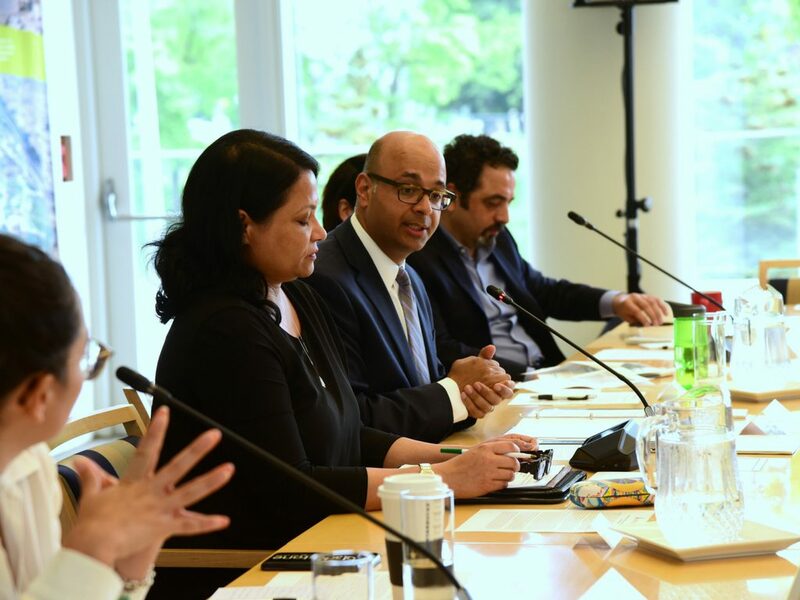 On June 18, 2018, experts from across sectors convened at the Delegation of the Ismaili Imamat for a roundtable to discuss both the opportunities and challenges of advancing women’s empowerment through clean energy technologies, and within the clean energy sector. Bipasha Baruah, Canada Research Chair in Global Women’s Issues at Western University, chaired the roundtable. She was joined by Mia Choinière, Policy Analyst at Global Affairs Canada; Ryan Duffy, President and CEO of Blackstone Energy Services; and Ana F. Gonzales Guerrero, Co-Founder and Managing Director of Youth Climate Lab. Over 50 thought leaders from the public, private, and civil society sectors engaged in dynamic dialogue on how technologies can maximize benefits to women, and how access to clean technologies and energy can increase gender equality. Two common themes emerged from these discussions: women need to be integrated at every level of the energy value chain; and addressing this issue requires greater cross-sector collaboration. “We need to look at solutions that are significantly transformative, and that address complex issues,” said Abdul Malik, Global Lead for Economic Inclusion at Aga Khan Foundation, in his closing remarks.